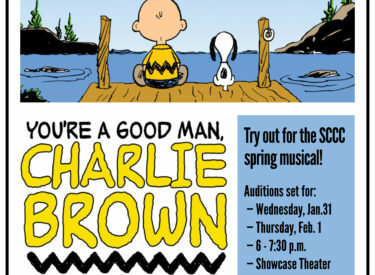 The Seward County Community College Theater Department is holding a casting call for its production of “You’re a Good Man, Charlie Brown.” Auditions will be held on Wednesday, January 31 and Thursday, February 1 at 6 pm in the Showcase Theater on the SCCC Campus. Be prepared to sign a song of your choice and read from a script. For more information, call (620) 417-1451 or (620) 417-1460.